It should go without saying that drinking too much is a bad idea when in a professional situation (any situation, really!). Many of us have been at business focused events where we have seen people get drunk and make a spectacle of themselves. Don't be that person. This will always harm your reputation, and possibly damage the reputation of your company. Attending trade shows, conferences, conventions, seminars and other events often have social components that will involve food and drinks. These festivities present fabulous opportunities to meet people and have meaningful conversations. Human beings are social creatures, and when we can share experiences with each other, we forge bonds. Not everyone drinks alcohol, nor should they. Some people avoid it for religious reasons, others for health purposes, some do not like the way they feel after a drink, and many people have issues with addiction. While I would NEVER suggest you put yourself in situations where the temptation is too great, remember that "drinking" is not the purpose of attending the social aspects of a conference. (If you have legitimate reasons why to stay away, then stay away, but don't make up excuses). Some of the best networking will happen at happy hour, after hours in the hotel bar, or at vendor-sponsored off-sight parties. You do not have to drink booze to partake in these gatherings. The power of social interaction will be different at each event, but you should participate whenever possible to make sure that you are connecting in these comfortable and informal settings. This allows you to get to know others in a more personal way. If you self-identify as an introvert, remember that "introverts are BETTER networkers" (See "I is for Introverts" - coming soon!). While you should avoid drinking too much, you also probably want to avoid the people who are too tipsy. Do not put up with rude behavior for the sake of networking, and never remain in any situation where you do not feel comfortable or safe. All kinds of things happen in the world, so be aware of the dark side when participating in any activity. Fortunately the obnoxious folks are the exception, not the rule. Most business professionals know how behave in a social situation, and having conversations is an important part to establishing real relationships. The social aspects of a trade show or convention can be the conduit to making strong business connections that can, and will, provide you with the return on your investment for attending the event. You have to participate to maximize your conference. Business events can appear to be the same old thing. Different cities, different hotel ball room, but otherwise too similar. When you experience a spectacular and unique conference, trade show, convention, seminar or other gathering you remember it for a long, long time. Meeting planners and conference organizers all strive to make a lasting impression on attendees, as that means they will come back again, and bring their friends and co-workers. The future of meetings depends on more than more of the same. In my role as "The Conference Catalyst" I have seen how events can be transformed from routine into meaningful gatherings that have real impact. This often has to do with how engaged the people are in all aspects of the gathering, and how the human engagement creates an atmosphere commonly understood objectives. When everyone is in the same "zone", you can feel the energy. If the meeting you are attending has not hired a "Chief Engagement Officer" or "Conference Catalyst", that does not mean that the vibe has to be stale. Anyone can be the catalyst that ignites the spark and sets the tone for even just a few people. Buzz from a small group can bleed into the whole conference society. When you are attending a convention, look for ways to influence the success of other people. Ask them what they need to happen and then actively connect the dots to allow them to find what they seek. Some people want specific learning, others want to network, and some only want to have fun. Their purpose does not matter, what makes a difference is you taking charge to embrace their needs from the event, not just your own. Anyone can be a catalyst for the greater good. When everyone waits for the event to engage them, they all can wait a long time. Be the person who takes charge and creates positive energy at business events. Remember, it takes only one leader to influence a sea of followers. When you are preparing to attend a business event, especially an out-of-town conference, be sure to plan ahead to bring enough business cards. When you are actively engaged at an professional gathering you will have the opportunity to meet many people with whom you could build a long-term mutually beneficial relationship. Having cards is paramount to real networking success. Meeting someone at any gathering does NOT make them part of your network, it makes them someone you have met. One encounter is useless without follow-up. Your business card could be the best vehicle to be remembered once they return home to their busy life. In our fast-changing high-tech world some people argue that the business card is "old school". They claim that people do not need to exchange contact information when it is all available online. I had a person tell me that they did not carry cards, but I was welcome to "Google" them later to get in touch. First, that attitude puts the responsibility and work for the other person. Having a card make their life earlier. You do not carry cards for yourself, you carry them as a courtesy for the people you encounter. Plus, this person had a last name I would not be able to spell (much less remember) two days later. I was confident that this was a relationship that could be beneficial to us both, but the exchange left me feeling it would be too much work. I never followed up. Other people say they use technologies like "Bump" or other phone applications to capture information. This is arrogant, as it assumes that all other people use the same tools, and store contact information in their phone. I have an iPhone, but I do not think it fair to assume the people I meet would have the same phone. Additionally I do not want every stranger I meet to be listed in my phone, so a "Bump" is a horrible option as a way to trade contact info upon a first meeting. The business card also allows you to easily ask for their information and exit a conversation without being rude. The card trade is an acceptable end to networking "chit chat", and if you do not have one, you might be stuck in a conversation longer than you desire. You may appear unprepared ("Oops, I forgot to bring cards"), as a first impression if you do not have cards available when asked. At a busy and crowded event there are lots of people to meet and nobody can follow up with everyone. Forget cards and you might be forgotten. While the business card may become obsolete one day, it is still an accepted and expected business tool in today's business world. They are a must for anyone who is attending a trade show, convention, conference, seminar or other professional gathering. Long before you arrive at a trade show, convention, conference or seminar you should create a game plan for how your will maximize your investment of time and money in the event. Too many people show up at these multi-day events without having given any thought about how to best utilize their time. When you "wing it", you fail. All business gatherings you attend should bring you a mix of learning and networking opportunities. Most meeting organizers publish their agendas weeks (or months) in advance, and work hard to promote the keynote speakers, breakout sessions, and other events. Study the agenda and make decisions in advance as to what is the most important parts of the schedule to allow you to reach your pre-determined objective outcomes. Do not just look at the educational part of the event, but also the social aspects. One of the main reasons people attend business gatherings is to meet other influential people in their industry. 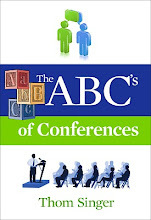 However most never seem to make any long-lasting meaningful connections at conferences. If "networking opportunities" are important to you (and they should be), then you must make them a priority, too. Start early to discover who will be at the events you will be attending. Join the online social media communities that the organizers have established on Facebook, LinkedIn, and other locations. Discover if the event has a pre-determined Twitter "hashtag" and begin following the discussions about the event. Learn about the other attendees by reading their online profiles and following them in social media communities (where appropriate). It has become very common for conference organizers to offer pre-event webinars, videos, white papers, etc... Take advantage of these valuable tools that will allow you to prepare for the whole event and be on the same page with other attendees. When you research and identify interesting people who will be present at the physical event reach out to them in advance and let them know that you will be there, too, and that you look forward to meeting them face-to-face. Contact vendors, clients, prospects and other and agree to a time to meet. Leaving it to chance with a "I hope to see you there" might mean you will never connect. Arrange to get together for happy-hour meet ups or agree to sit together at meals, and then follow up to confirm you appointment. Having clear focus on how to spend you time, and a list of people you want to meet will help you succeed in maximizing your attendance at a conference. One reminder: Do not make your plan so rigid that you are not open to spontaneous meet ups or changing your break out attendance when a new opportunity arrives. When you encounter people who are looking to grow their business, expand their horizons, or do anything in this world...... how do you react? Are you instantly supportive, curious, and excited to find ways to help? Or are you accusatory, snarky, and mean spirited? I encountered two people today who approached the world in exact opposite ways. They were both reacting to the same inquiring email that I sent them about working together, and I was amazed within the course of one hour the different reactions I could get from these two "professionals". One was excited by what I was doing, and went out of their way to learn more, make recommendations, and is now considering hiring me to conduct a training program for her company. She is the type of person I believe most people enjoy being around. She explored the situation, shared her opinions, asked probing questions, and searched for ways to connect the dots. If I had to select two words to describe the first person, I would choose "delightful" and "empowering". The other person cut holes in my efforts, accused me of being a copy cat, and did so with a tone of bitchy superiority. In just a few sentences she presented herself as a cynic. The words for her? I probably should not say them! These two exchanges got me thinking... how we react to things is more about us than it is about the situation itself. We get to choose how we respond to others. Our attitude is often a window to our soul. For a few minutes the second person made me feel bad about myself. Then I laughed. I am happy that I do not have to go through life with such dark clouds circling my personality. I hope that I am more like the first woman in my interactions with others. I try to be interested and supportive, even if the other persons products and services are not something I desire. The 12 Pillars of Integrated Visibility - Number Five: "Advertising"
I have been writing about all "12 Pillars of Integrated Visibility" recently. The skills involved to create success in each area are rarely present within a single individual, and this is why so many companies fail to achieve the success they desire. There must be company-wide involvement to make it all come together. Since the early days of the internet people have been proclaiming the death of advertising. While we are still experiencing massive changes in where we get our information and entertainment, the arrival "social media" does not mark the end of paid advertising. Advertising is a form of paid communications that is intended to persuade an audience to take action toward the purchase of products, ideas, or services. It can also be used to promote political, social, cultural or philanthropic points of view. Anytime there is a large audience people you will find someone willing to pay to place their brand message before as many eyes as possible. It is estimated that over $500 Billion was spent on advertising in 2010 worldwide..... which means that the medium is far from dead. Many companies shy away from advertising because it can be expensive. Traditional mass media (Television, Radio, Print) have a history of being the most effective way to reach a large audience, but as the consumers habits of where they spend their free time changes, fewer people are spending time engaged in these mediums. However, there are now many niche venues where you can invest in building brand awareness, and many of these are cost effective. The first step is to identify how advertising will fit into your overall "Integrated Visibility" strategy. The overall mix of how you educate potential clients about your company, create interest, build a feeling of desire, and move them to a purchase is key to success. Advertising is not a magic bullet to drive sales, but it can be a powerful pillar that supports your overall image. To gain attention it must be both interesting (to get attention) and repetitive (to build awareness). In general people work hard to avoid ads (think how most people use TIVO / DVR), but they still are influenced by the presence of advertising. Knowing where to advertise can be confusing and overwhelming. It is important to know your customers, and understand how and where they spend their time (at work and personal time). Once you know where the right people are located (live and in cyber-space) you can make decisions on where to place ads. Do not rule out advertising as part of your "marketing mix". SOS Leadership Institute recently introduced the SOS Coaching Network, which unites an elite group of coaches, trainers, and consultants from around the world, providing them with customized content, one-on-one and group coaching, and tools to help them succeed in the rapidly growing coaching industry. This is an exclusive network of top-notch professionals who have a steadfast commitment to ethical leadership and personal development. 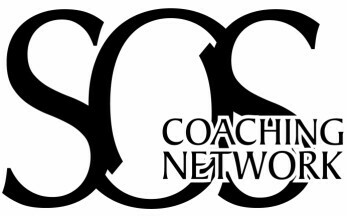 Attend this webinar to learn more about the benefits of becoming a member of the SOS Coaching Network! Click here to register for this informational webinar! 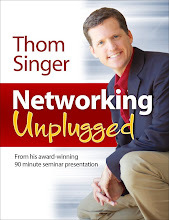 ****NOTE -- Thom Singer is an affiliate with the SOS Coaching Network. If you attend this webinar, please let the SOS Team know you heard about this opportunity on the "Some Assembly Required Blog" -- Thanks! The 2011 NSA Winter Conference is known as the "Un-Conference" for so many reasons. Organizers Neen James and Gina Schreck have gone out of their way to ensure this is not just any old regular conference. They have all kinds of cool things planned, and are making sure that the learning, networking, and the fun are all un-common. Those of us who are professional speakers attend a lot of conferences, so we know how routine they can become. Not this one! I am in charge of the "Un-Agenda". This breakout session will not be like most you have seen. We have six GREAT speakers who have agreed to present on their topics of expertise. However, only two will present live. The attendees at the conference will all vote on what they want to learn. It takes a special kind of professional speaker to present to other professional speakers. It takes and even more unique and open minded soul to agree to let the audience (their peers) vote for what they want to have presented AFTER they get to the event. All six of these people agreed that there will be no hurt feelings or bruised egos if they are not selected. Two will present live, while the others will be invited to host webinars in the months following the conference. When the conference attendees arrive they will be given a chance to vote for the topics they desire. Then on Saturday during the "Un-Agenda Breakout Session" we will be in store for two great presentations. Thanks to everyone who is helping make this event the "Must Attend" event for the National Speakers Association. Are you a professional speaker who wants more information on WHY you should participate in NSA? Call or email me and I will gladly share my experiences with you. "I'm coordinating the program for the [Conference Name Removed] conference next month. We include bios and pictures of all the speakers in the program - not unusual. However more than 1/2 of the speakers did not send us a decent picture on their initial submission. Examples: low-resolution (OK for web but not for print) versions, very casual snapshots, or a bad crop out of some picture with other people still included in it (no, I am not kidding). This is taking a lot of extra time for us to go back and request better pictures to try and help them be reflected professionally in the program. Advice - anyone who wants to be considered even a semi-professional speaker should have a decent print-quality picture. Doesn't need to be a professional headshot, but needs to look business-like and be at least 300 dpi equivalent. You would think this would go without saying, but apparently not." If you are speaking at conferences even on occasion, this is important advice! TEXCHANGE Austin kicked of 2011 with a full house for their January meeting at the AT&T Executive Education and Conference Center. The topic was "Secrets of B2B Sales Organizations" and the discussion was lead by a panel of local executives who had a plethora of experience growing start-up companies from the ground up. Andrew Westmoreland began with strong advice that "knowing what you do is key to sales success". Too often young companies lose sight of who they are and what they sell. To achieve your goals in regards to sales you must know your "DNA". When you are launching a new venture you need to be focused on who is the buyer. If you do not know the persona of the individual inside a company who will make the purchasing decision, you will miss the mark. Janice Ryan talked about "identifying the zebra". When you are on a safari there are many animals that are hard to see because they are camouflaged, but the zebra cannot hide. It's stripes give it away every time.... and thus you need to know all aspects of your buyer so that they do not blend into to the background. Paul Dodd added that the whole company must be clear on the problem they solve for the customer. This is easy to do in a conference room on a white board, but much harder in execution. When you understand the customers need, you can sell your solution. When you do not honestly identify the problem, you will always fail. Getting in front of customers early is important, even before you build your product or service offerings. Ask the companies the questions about their pain points and your solutions, and they will tell you the answers. Hiring the right sales person is hard. Seeking professional help in the hiring process is important. Many CEO's fail at understanding what it takes to sell their products because they have never sold them. It is a good idea for leadership to have gone out and sold before they develop a sales team. This not only will educate them on the process, but also help them figure out the compensation model. Different types of sales people will succeed at different stages of the company. Early on a company needs a sales person with a mind for the whole business, not just someone who will go out and sell. Early on the sales person will be in the trenches with the customers and if they are tuned into to vision of the company they can help shape future products. Sales has to be part of the company culture. In the best companies, everyone is part of the sales team. All deals, win or lose, should be communicated throughout the whole company. Too many businesses look at the sales team as if they have "magic fairy dust", and place the sales team off in their own silo. When companies start to find success and get the momentum is the moment they need to start looking deeper to see what they are missing. Often "firing on all cylinders" is a clue that failure is right around the corner. This is when leadership becomes paramount. Great leadership will trump flawless execution. The CEO is mission critical to the success of sales. In most companies the leadership fails before the company. 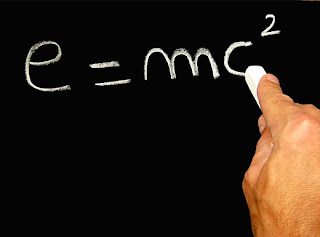 E=mc2: "Engagement Equals Meaningful Connections Between Two or More People"
Busy people often feel they are not connected to others. They work so hard to produce at work and yet they sometimes they feel all alone. Even successful professionals with many customers and co-workers will admit to feeling they are not really an active part of their business community. I work with executives who are striving to get themselves, and their employees, more engaged. How they define a "business community" will vary (a local geography, an industry vertical, or a national or international territory), but they all realize that discovering more success will require meaningful connections to other people. Online "social media" has been the focus of how to create a network over the past several years, but there is now a pendulum swing back to the human touch. People do business with those they know, like, and trust... but in the past three years the definition of the work "know" has drastically changed in our society. Everyone now believes they "know" others because they follow them on Twitter, or have conducted a Google Search. In the past it took time to get to know another person, and with that process came decisions on "like" and "trust". Instant "knowing" can leave relationship shallow. Meaningful connections between two or more people (E=mc2) allows everyone involved to achieve more together than they ever could alone. Engagement is the goal. People matter. Take the time to invest in getting to know people and new ideas will emerge. ***PS- The idea for this blog post came from a comment by Bertrand Hazard. His comment about "E=mc2" bounced around in my mind for two weeks until the definition appeared very clearly. I am a watcher of TED Videos. Many are interesting. Some are educational. Occasionally they move your soul. 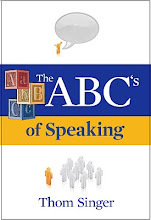 A few are examples of great speaking skills. Most are meaningful. Usually they make me think. Always they are worth the 18 minutes! 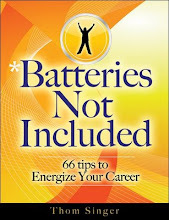 Below is a talk by Dr. Brene Brown from TEDx Houston in June 2010. This is an example of interesting, educational, soul touching, well presented, meaningful and thought provoking. Here talk is about being vulnerable. Take a few minutes and watch and ponder. WhiteGlove House Call Health is one of the fastest growing companies in Austin, Texas (and the United States). CEO Bob Fabbio was the featured speaker at the January meeting of the Central Texas Chapter of the Association for Corporate Growth. His presentation, "Even in tough economic times you can start and grow a business -- What has fueled WhiteGlove's growth", was an informative reminder that in any economy there are entrepreneurs who launch companies that become successful household names. All the negative business news in the media should not stop you from taking your idea to the marketplace. Microsoft, IHOP, HP, FedEx, LexisNexus, Trader Joe's, Hyatt, Sports Illustrated, GE and countless other companies were all started in depressions and recessions. How? 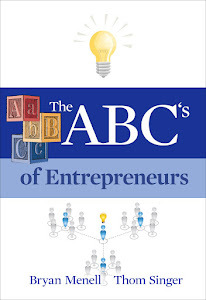 By entrepreneurial leaders who identified a large market need and then filled it with new products and services. This is how companies start and grow. Combining intuition and analysis to answer "The What's" are paramount to success, according to Fabbio. He shared a list of 12 "What?" questions that any business leader should ask... and the answers will lead them to their business model and valuation. When companies ultimately know what business they are in, and if they have a large enough market (which is a challenge for many), they are less likely to fail. Knowing the market opportunity, having a unique business model, proactive customer acquisition, proprietary technology, and the timing of macro trends in the greater economy have made a big difference in the giant success of Fabbio's company. The economic downturn has caused businesses (and individuals) to have a keen awareness of high health care costs. Thus the company's radically different solution to delivering services looks very interesting to everyone. While they sell to medium and large employers (who sign-up their employees up as "members"), the end-users love the WhiteGlove service. The company has the highest customer rating of any business in the United States on CitySearch.com. Fabbio clearly knows this topic.... as WhiteGlove grew 480% in 2010 and they are projecting growth of over 500% in 2011. I also learned that if you live in Texas and have Aetna, Humana, or UnitedHealthcare health insurance you are automatically enrolled as a WhiteGlove member. I did not know that, but I plan to try out their service if I get sick any time soon! (Although I would rather just not get sick). PS - Are you a "middle market" business leader in Austin, Texas? If yes, are you familiar with The Association for Corporate Growth? ACG provides high-level educational programs and executive networking opportunities for professionals who are concerned with the future of business. The January 2011 Leadership Austin Engage Breakfast Series featured Justin Evans (Capital One Bank) and Matt Kouri (Greenlights for NonProfit Success) talking about how Non-Profits and For-Profit organizations can better work together. The sold-out crowd packed the private meeting room at Chez Zee Restaurant. Attendees were a mix of those who worked for charitable groups and corporations. Whether you work for a company, or are just a person sorting your own mail, you are constantly receiving envelopes with requests for donations to support some cause. In all economic conditions charities are seeking money to allow them to serve their constituencies. Many philanthropies host big events where they seek company support, promising to provide the business with exposure to the community. These become "Logo-Soup Galas", where banner after banner of corporate logos cover the walls. In the end there are so many logos, that none are noticed. 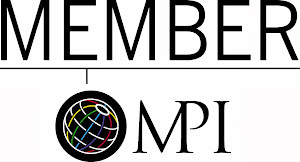 In today's world a non-profit must do more than promise to promote a corporate sponsor on the website, invitation, and event brochure. Companies can do a better job of buying their own advertising. Better is to help link them to an experience that will bring along PR opportunities. The media does not "like" corporations, but they "love" charities! Smart non-profits are working in partnerships to create unique experience based ways for companies to get noticed. American Express is running a very creative charitable campaign in conjunction with the hit TV Show Glee, and getting a lot of attention for their efforts (I have not seen these ads, but others in the audience nodded in agreement!). Locally Sweet Leaf Tea donates 1% of their profits to local charities, and is always participating in positive charity events passing out their delicious teas and lemonades. This has become part of their culture, PR, and the experience of all who know them and buy their products. Corporations that are not engaged with giving back are starting to experience a competitive disadvantage. People expect the businesses they hire, and where they work, to be good citizens. 62% of Generation Y want to work for companies that allow them to volunteer in a meaningful way. If your company is not paying attention to this you are missing out on recruiting and retention tools. Austin has more charities, per capita, than just about any other city in the United States (the most in the Southwest). This means that non-profits are in competition with each other for a limited number of dollars. We are starting to see mergers of non-profits so that they can maximize their effectiveness, and create economies of scale. If two similar organizations become one, they might double their chance of winning the money that might be given to their cause! The most interesting statistic I heard at this breakfast was that 75% of all charitable giving in the United States comes from individuals.... NOT corporations, churches or philanthropic foundations! (Did you know that? I did not!). This reinforces my own themes that "You Do Not Need To Be Rich To Impact A Charity" and ""Non-Profits Need To Get Beyond 'Elephant Hunting' When Seeking Donations". I am leading a panel at the 2011 South by Southwest Interactive conference on this very topic (You Can Impact Charity Without Being Rich)..... if you will be at SXSW, I hope you will come and listen. This week the Austin chapter of the National Speakers Association hosted a workshop by David Newman. David specializes in working with service business owners who want to stop throwing money into a marketing black hole and attract, engage, and win more customers. The event was educational, but I also had the honor of getting to know David while he was visiting Austin. I volunteered to pick him up at the airport and also drive him to the NSA event. We had a great conversation and I learned more about his successful speaking, coaching, and consulting business. He also shared some insightful ideas for my career.... and he has a friend who might be the ideal person for me to partner with for a new project. David stayed in Austin through the weekend and I had the chance to meet he and his wife at my favorite Mexican Restaurant (Guero's Taco Bar). They had a great time touring Austin, and I think I helped them map out a few other cool restaurants and places of interest. When your company or professional organization hosts a VIP guest from out-of-town you might want to consider volunteering to pick them up and drive them to their destination. This is a great way to get to know the speaker. At the event you are one of many people in the audience. In your car you are the only driver. You can get a lot of amazing input from these visiting thought-leaders and establish the foundation for an ongoing friendship. Investing the time to serve as the chauffeur is not a sacrifice, it is an investment in people. Human beings are experiential creatures. When you share time with someone you create a bond, even if that experience is a short drive. When Gary Vaynerchuk was in Austin to speak at a technology dinner I drove him to and from his hotel. I asked him "if you had Gary V in your car for 20 minutes, what advice would you ask you?" What followed was a great conversation, and I learned more about Gary than I ever could have from reading his book (Crush It!) or following his tweets on Twitter. Spending time with people, even when you are driving them to and from their hotel, is a great way to expand your network and learn from the masters. Smart law firms are again investing in the development of their lawyers and professional staff. For the past several years many firms have cut budgets and canceled firm retreats to save money and conserve cash. However, like all businesses, law firms are realizing that you cannot ignore the human side of the organization. Training and development is important for the future growth of the firm. Additionally, people feel better about their career when they know their employers are supporting their professional growth. This time of year brings many goals and resolutions, but too many people are vague about what they want to accomplish. They desire "more money" or "more time with the kids", .... but "more" is a random and subjective term that does not inspire action. If you want to accomplish your desires you must be clear in your exact pursuits. You should identify your success in advance so that you can take the necessary steps to arrive at your destination. If you were to fly from Los Angeles to Honolulu you would want the pilot to know where he was going. To take off and point the plane "west" could have fatal consequences. When you are clear about where you are going it makes it easy to take the actions along the way that lead you to your success. Individuals, companies and other organizations should create success plans that will serve as a road map throughout the year. A small amount of time invested now will help you create your most powerful year ever. 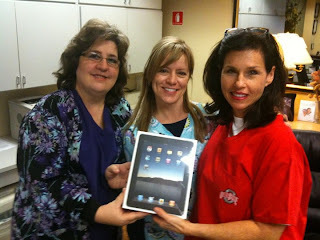 I Won An iPad From My Dentist! Who says going to the dentist is not a great thing? I will admit, I am not a fan of the whole dentist thing. I wish I could skip it, but good oral hygiene requires that I go from time to time. Several years ago, at the recommendation of a friend, I tried Dr. Deano Sakos at Westlake Hills Cosmetic Dentistry. Turns out the doc and his staff are great, and thus I found a dental care home. While I do not make it in every six months... I do get the old chompers cleaned more often because I like the folks at the dental office (and they do not make me feel bad for not coming as often as they recommend). This fall my dentist was encouraging people to join his Facebook Fan Page. Let's face it, who wants to "like" their dentist on Facebook? If you joined their FB community you were automatically entered to win a chance at winning an iPad. I was game and signed up right there from my iPhone. To be honest, I never thought of this again. I did enjoy the occasional updates and friendly tooth oriented reminders that crossed my Facebook stream,...and they do not over post with FB updates, but instead share important info and fun things that go on in the office. Today I got a call from my dentist office. I thought they were reaching out to schedule my next teeth cleaning, but instead they were informing me that I was the BIG WINNER. Yep, I won an iPad. I was overly happy about this whole thing. Even more excited were the kids when they got home from school. I have not seen the iPad in five hours and it now has 4 pages of free game apps. If anyone ever needs a great dentist in the Austin area, I cannot say enough good things about Westlake Hills Cosmetic Dentistry (and not just because I won a prize!). If you go to them, tell them I sent you. I cannot promise you will win anything, but you will have better teeth. This article appeared in the January 3, 2011 Austin American-Statesman. Life Section writer Sarah Beckman did a great job of gathering powerful advice from several people (including myself) which will help you garner more success in the new year through your networking efforts. If your New Year's resolutions include things like finding a new job or growing your business, everyone is probably telling you to get out there and start networking. But that might leave you feeling a little, well, smarmy. Networking means you have to be pushy, or fake, or use people, right? Actually, no. Ask some of Austin's most gifted connectors for their tips on networking, and you won't hear anything about how to fake a smile or never take no for an answer or only schmooze with powerful people. Instead, the themes that surface over and over come down to a few key points that center on kindness and community. 1. Be generous. "I'm a firm believer that the more you give, the more you receive," says Renée Peterson Trudeau. She's a career and life balance coach and speaker, president of Career Strategists and author ("The Mother's Guide to Self-Renewal"). "This practice has had a huge impact on the success of my two businesses." 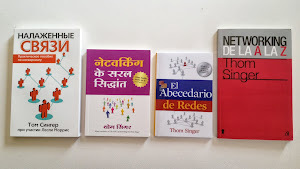 Thom Singer, an author (see box, back page), speaker and consultant, agrees, saying that investing in the success of others is the best investment you can make in your own success. "In general, people love to help those who are known as givers, but are not as thrilled to assist those viewed as takers," he says. So go ahead and give that informational interview, make that introduction, e-mail that helpful article, even when it's not clear yet what the other person can do for you. It sounds like a paradox, but if you help without the expectation of payback, you're more likely to benefit in the long run. 2. Be nice. When you're networking, of course you want to talk about yourself — maybe you're excited to tell people about your small business and why they should be customers, or about why their friend in your field should hire you. But don't forget about the importance of listening. It's not only the nice thing to do, it's also what will help you more in the long run, Singer says. Ask people about their careers, their families, their hobbies. "When you show interest in others, they will feel connected to you," he says. We already know that generosity is the name of the game in networking, and learning about others helps you find ways to help them. "Nothing will make you more interesting to them than when you connect them to their own success," Singer says. You're not going to have these meaningful conversations if you show up to events late and then dash off, says Patti DeNucci, owner of DeNucci & Co. referral and advisory service. "This sends numerous signals, and none of them attractive or positive: you are habitually late or can't manage your time; you don't really want to be there; you don't want to engage; your schedule is so important that you just want to make an appearance; you have other, more important places to be," she says. 3. Be committed.It's better to be deeply involved in three or four business groups than to join scads, but only drop in on each occasionally, Singer says. That's no way to develop strong relationships. "If you cannot be there consistently, why would you think others will find you reliable?" he says. Similarly, going to a networking event isn't about working the room and introducing yourself dozens of times. Ann Daly, a speaker, life coach and author ("A Year of Clarity: The Monthly Guide for Women"), says what really counts is the depth of the connections you make. "I count an event a success if I leave having initiated a single meaningful relationship," she says. And as you make new connections, don't forget to keep nurturing the old ones, Daly and Trudeau say. "Think long term," Trudeau says. 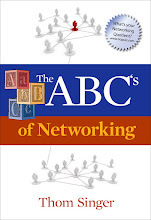 "The art of networking is about building long-term relationships, not looking for quick job or business leads. 4. Be real.If you're not being yourself, you're going to get found out, especially now in the age of social media, Trudeau says. "People can get turned off really easily if you're coming across as inauthentic or self-serving," she says. "Pause before you post and be mindful about how you're coming across to others." Being real means not dodging topics that might seem "forbidden" in the context of networking, Singer says. "Many people say you can never talk religion or politics, but these are important parts of our world," he says. "To avoid them totally can make for shallow relationships." The important thing is just to show respect for others' views and not try to discredit them or change their minds. "Have humility in regards to your own political and religious views, and you can navigate conversations on these topics and establish respect with people of differing affiliations," he says. 5. Be happy. "If you can exude a steady flow of positive energy in a consistent, engaging and authentic way — in other words, if you truly feel happy, blessed and positive most of the time — people pick up on that and will be naturally drawn to you," DeNucci says. A key word here is "authentic": DeNucci says she'd rather stay home from an event if she's in a bad mood instead of going out and trying to fake it. It also helps to lighten up a little, Daly says. 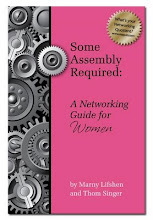 "The more serious you are about ‘networking,' the more desperate you appear," she says. "And desperate is just not that appealing. You're away from work, eating or imbibing, meeting interesting people. Enjoy yourself."